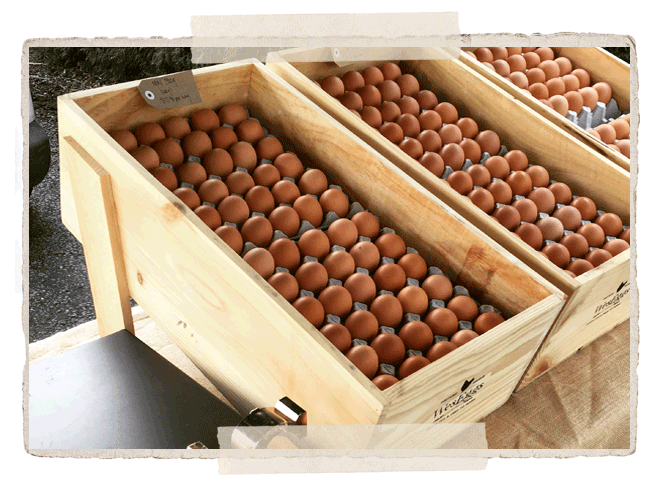 Our vision at WesEggs is to be a family owned producer and purveyor of genuine and true, pasture raised free range eggs. To be an industry leader, that is economically successful and socially responsible, by using sustainable and regenerative farming methods. How are we going to do all of this we can hear you asking? Our ladies do not have trimmed beaks or clipped wings. WesEggs hens have the freedom to exhibit their natural behaviour of scratching and foraging for insects, wings flapping and dust batheing. A natural high protein diet, not only improves the health and happiness of the hen, but also the egg quality. We have four Maremma’s named Shy, Skye, Cheeky and Bear. WesEggs hens have the freedom from fear and distress. Maremma’s have been breed for thousands of years to help shepards protect livestock. They thrive when put with flock animals that need protection. They help protect from foxes, eagles and other predators. PHEW! Our ladies are safe! Our farming methods are extensive by definition and are highly focused on sustainable and regenerative farming practices. This means that the production of our eggs uses farming techniques that improve the environment, protect public health, human communities and animal welfare. We are a 100% chemical and toxin free zone! We will not degrade soil, waterways or any other natural resource. 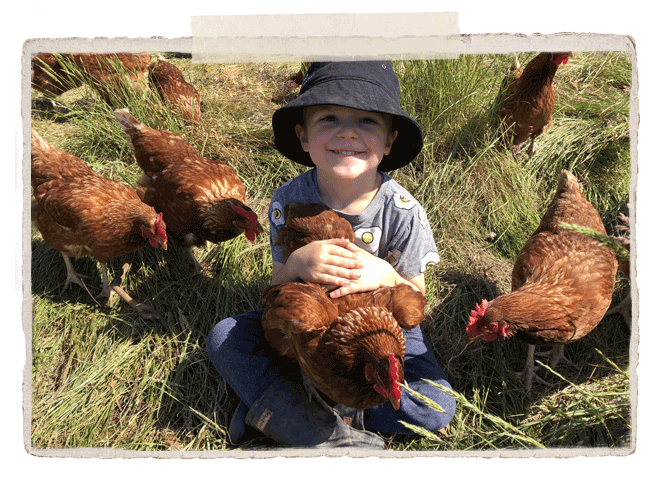 We treat our hens with care and respect, our hens are pasture raised and free to roam. WesEggs hens are housed in open style hen houses, essentially, this means they are never locked up. The sheds are moved around our farm in a process called “cell grazing” every 7 days. 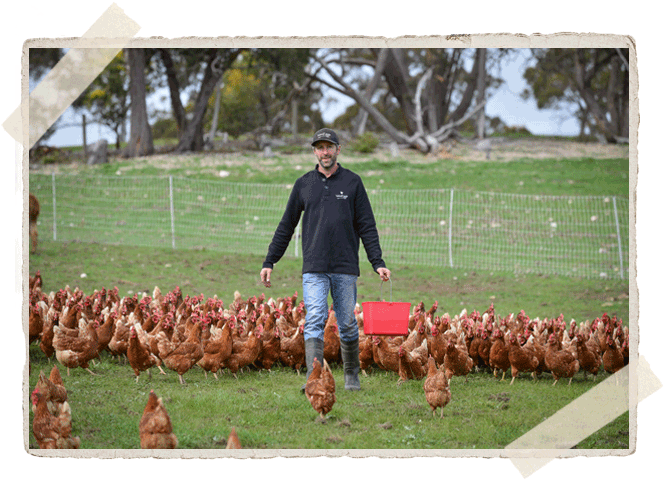 The hens provide natural pasture improving fertiliser. This allows the pasture to be grazed, disturbed and then rested for a period of time. This grazing and rest cycle is pivotal in our regenerative pasture management. 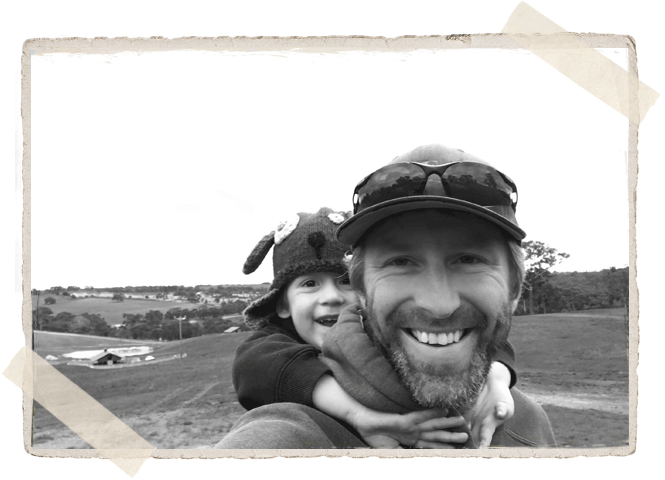 Wes is an industrial automation electrician and as well as chickens, has a passion for process automation. So, WesEggs uses the latest technology in our mobile houses to monitor not only the health of the ladies but to provide up to date information on environmental conditions. Our hens have freedom from pain, injury and disease, by prevention or rapid diagnosis and treatment. 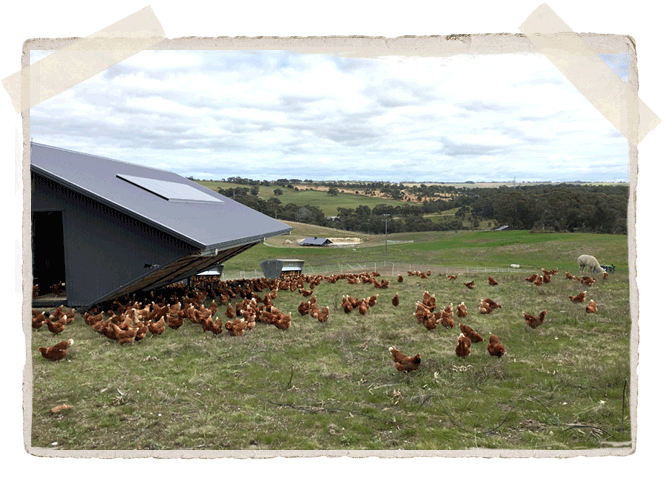 Automated hen houses assist us in ensuring this happens.